Who needs 165 horsepower and 132 lb-ft of torque? Well, nobody really needs it, but we sure aren’t complaining after comparing the Star VMAX and Triumph Rocket III Roadster. 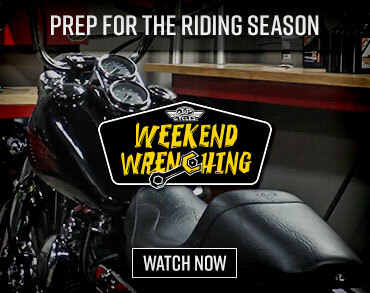 Watch the Star VMAX and Triumph Roadster in action, including runs down the dragstrip in our 2010 VMAX vs Rocket III Roadster Video. This isn’t the first time we’ve sought a comparison mate for the reborn VMAX. When it first hit the streets in 2009, with its near 200 crank horsepower claims, we tapped the now-extinct (at least in the US) Suzuki B-King for a comparison (2008 Suzuki B-King vs 2009 Star VMAX). Pure performance street bikes, head to head, but the sporty Hayabusa-powered B-King made the Max feel big and rather cruiser-ish. This time around we looked at the cruiser side of the performance spectrum for a comparison competitor. A natural candidate emerged when Triumph announced it had taken its Rocket III Triple and wrung out 15% more torque, added blacked out styling cues and a more standard ergonomic package and slapped on the Roadster moniker. Voila, a hopped up performance cruiser to match up with the VMAX. The Triumph Rocket III Roadster and Yamaha VMAX, two extremes in engine power and two very different rides. So that’s the rationale for our comparison. Grab two of the most powerful motorcycle engines available and run ‘em against each other to see what happens. Testing these brutes we logged miles commuting to work, as well as off-the-clock play rides. Editors kept scrambling to place dibs on either one for the ride home on Friday, as there was plenty of rubber to burn on the weekend. We also put the two up on the Mickey Cohen Motorsports dyno, as well as our Intercomp scales to measure raw performance data and weights. And, of course, we had to take both out to the local dragstrip to snag some quarter-mile times during Friday night drags. It was a fun couple weeks. Here’s what we discovered. The VMAX and Rocket III Roadster dyno charts exhibit the different characters of the two powerplants, with the Triumph’s curves very much in the cruiser vein, while the VMAX lines look akin to a sportbike power curve. The VMAX and Roadster are both all about engine performance, but they bring the heat in two different ways. While the VMAX exemplefies the extremes of horsepower production with its distinctive V-Four, the Roadster rips pure torque from its Inline Triple. A nasty-looking 65-degree 1679cc V-Four featuring 90 x 60mm bore and stroke powers the mighty Max. Internals include chain-driven intake and gear-driven exhaust cams actuating the four-valve heads, with an 11.3:1 compression ratio. Yamaha’s sportbike technology lends high-performance systems like the Yamaha Chip Controlled Throttle (YCC-T) and Yamaha Chip Controlled Intake (YCC-I), the latter featuring variable-length intake trumpets controlled by the ECU dependent on rpm. Then, of course, there is the ram air flowing through the distinctive polished aluminum scoops (they ain’t just for style). All that fancy engine talk equates to some serious real world wahoo! – to the tune of 165 horsepower at the rear wheel. Factor in about a 15% loss due to the shaft final drive and our dyno measurement matches favorably with Yamaha’s near 200 hp crank claims. It also makes the VMAX one of the most powerful machines we have ever tested. Only three production rides have registered more dyno hp: the 2010 BMW S1000RR (182.8 hp), 2008 Suzuki Hayabusa (166.8 hp) and the VMAX we tested in 2009 (166.4 hp). The Max produces plenty of torque too, with 104 lb-ft peak numbers. Triumph’s Rocket is no slouch either. It churns out prodigious torque courtesy of a 2.3 liter Inline Triple. Yes, that’s economy automotive-type big, and at 2294cc it’s the largest displacement motorcycle engine in production (we’re choosing to ignore the Chevy V-8-powered Boss Hoss – see side bar). To get a grasp on scale, that’s an extra 615cc more than the hulking VMAX! Like the Star the Rocket sources DOHC valve train, but with a much larger 101.6mm bore and 94.3mm stroke producing a lower 8.7:1 compression ratio. At the tech briefing for the original Rocket, Triumph’s product manager told us that during engine development the mill produced so much power it caused the pipes to glow on the dyno. So it’s perhaps not surprising that the engineers at Hinkley managed to coax an extra 15% torque out of the already prodigious motor. Still, the 132 lb-ft registered on our dyno run makes the new Roadster the most prolific torque producer we’ve ever come across (and our lb-ft measurement tallies a little low from what we’ve seen, with some sources claiming close to 140 lb-ft). The VMAX pulls with vicious power, requiring a judicious throttle hand. Although both impressive, on road the two motors deliver a different riding experiences. The Triumph stonks acceleration right off the bottom, but can’t compete with the sheer brutality of the VMAX. That’s not a slight on the Trumpet, just a nod to the Yamaha. It takes a lot of chutzpah to call the Rocket III Roadster slow, but the VMAX has the stones to back it up. The Star motor spins up much quicker than the Rocket, the throttle packing a knockout punch right from idle. The practical application of all those horses on the pavement is a rear wheel that can’t keep from spinning. 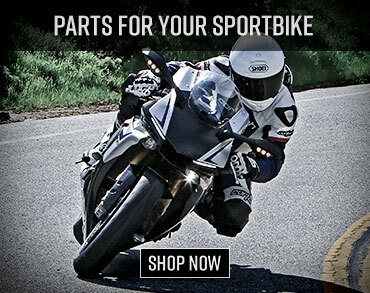 Crack the throttle violently and the VMAX spins it up in the lower gears without effort. This trait alone make the Max a must ride for hooligans. Carrying more weight, the Roadster can’t match the VMAX in acceleration, yet the Triple’s triple-digit lb-ft of torque are usuable right off the bottom and provide a linear powerband. The Roadster’s acceleration is far from timid, but by comparison feels more manageable and linear. Torque is everywhere, plenty of it, chugging along from right down at the bottom. With well over 120 lb-ft just off idle, the torque climbs and holds steady right up to 4000 rpm where it registers peak horsepower at 114 hp. From there it signs off fairly quick, but don’t worry, shift up through the five-speed gearbox and hold on tight. It’s worth noting too, that with a curb weight of 809 lbs the Rocket has to carry an extra 120 lbs compared to the VMAX. Yet, in spite of the weight handicap, the British bike still blurs the roadside scenery at a brisk pace. Considering their immense size and power outputs, neither engine exhibits much vibration – particularly when judged as performance cruisers (imagine the vibes from a 165-hp Harley – forget your fillings rattling out, your teeth would be gone!). With the Triumph’s monster Triple longitudinally mounted, we also expected the twisting force of its gyrating crankshaft to be far more noticeable. The sensation is there, particularly when revving hard at idle, but it’s not overpowering and less pronounced than what we recall even from the BMW Boxer or Moto Guzzi V-Twin. 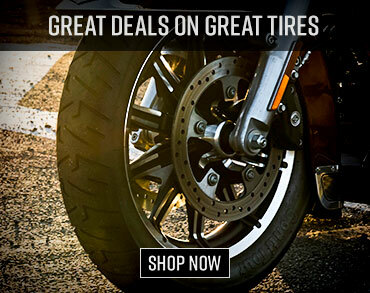 Triumph credits a contra-rotating balancer and shaft drive for the smooth operation. The Triumph and Star each sport a five-speed gearbox. Some testers noted the Star’s clutch engaged at the end of the lever, with a stronger pull required, but both bikes acquitted themselves well enough in this area. Our Cruiser Editor did note, however, that the Rocket III transmission felt more clunky than the silky-smooth gearbox on the British firm’s new Thunderbird Twin.